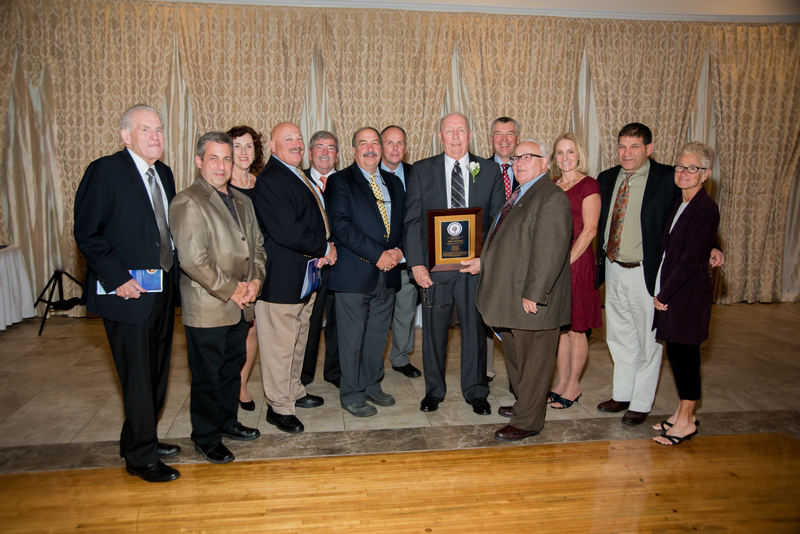 CHESHIRE, Conn. – Nine distinguished honorees were inducted as the inaugural class of the CAS-CIAC Hall of Honor this evening at the AquaTurf Club in Southington. 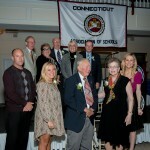 The nine honorees, Ms. Rose Marie Carlucci, Dr. Robert Carroll, Dr. Suzanne C. D’Annolfo, Mr. Timothy Doyle, Mr. Robert Duncanson, Mr. John Fontana, Mr. Don Gates, Ms. Ann Malafronte, and Mr. Michael Savage were selected for their exceptional service to the Connecticut Association of Schools – Connecticut Interscholastic Athletic Conference. Biographies for the inductees as well as the tribute videos shown at the event. 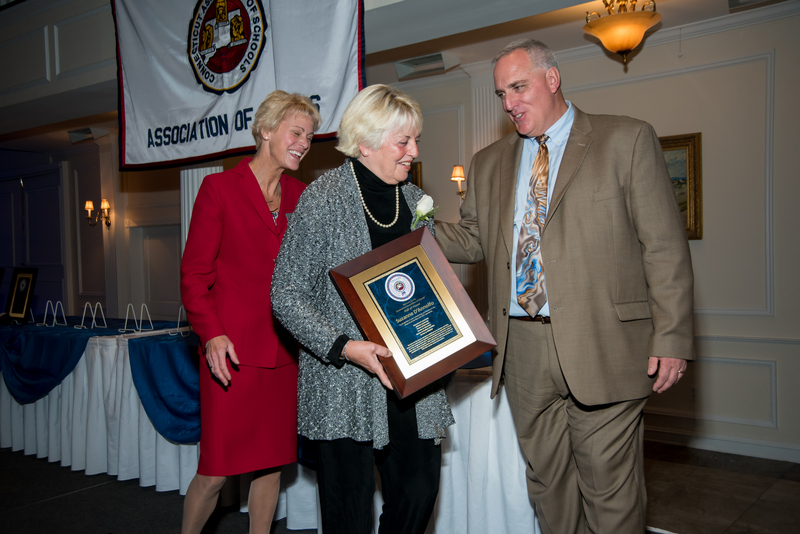 Rose Marie (Ro) Carlucci provided great service to athletics as a coach, an official, and as a tournament director. 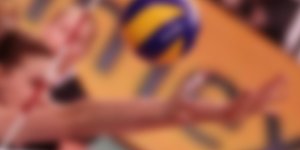 She served for 35 years as an official and a coach. She was very involved with officials as well Ro helping to train officials every year, and then continued to mentor new officials. 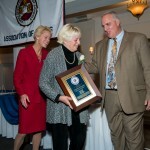 She served on the FCIAC Board of Directors for 25+ years. 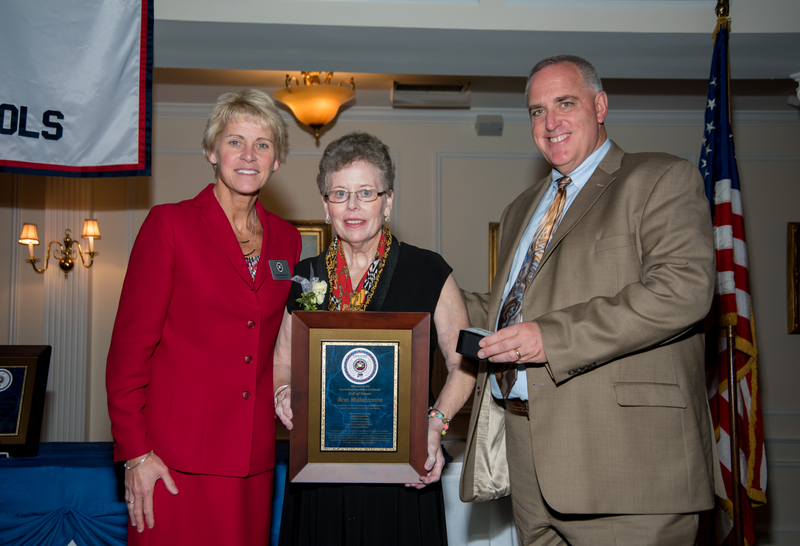 She was CIAC Gymnastics Chairperson for 20+ years and organized and ran FCIAC championships meets for 25+ years, as well as organizing and running CIAC state gymnastics championship meets for 20+ years. 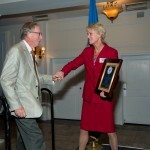 Ro officiated numerous high school national meets, coached the Connecticut high school team at national meets and was received the Connecticut high school outstanding coach award in 1992 and 2003. 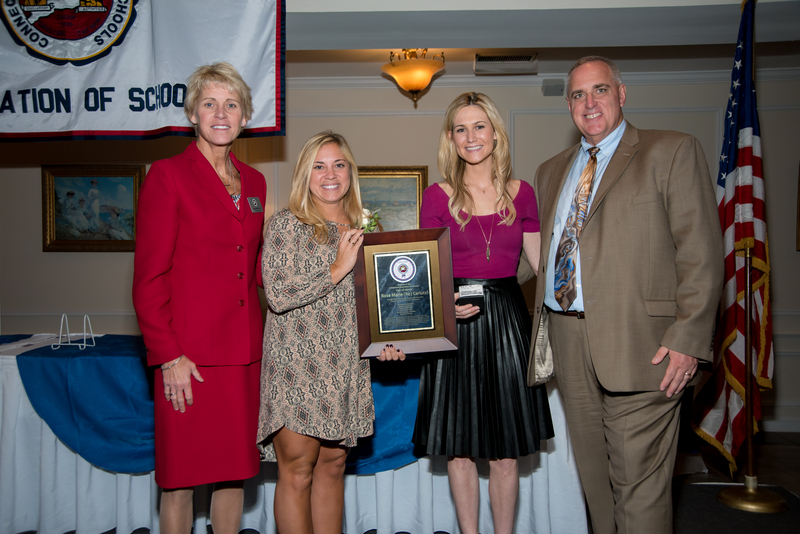 She was inducted into the FCIAC Hall of Fame in 2005 as well as the Connecticut Gymnastics Hall of Fame in 2014. 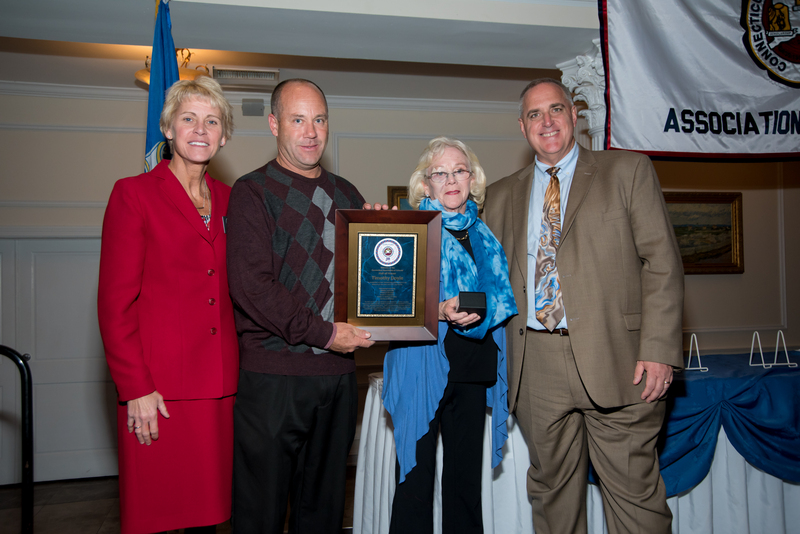 Ro was a rules interpreter for gymnastics officials for 25+ years and also officiated field hockey for over 20 years. She has left an enduring mark in Connecticut on several athletic fronts. Dr. Bob Carroll worked his entire public school career in Wolcott beginning in 1960 where he served as a high school assistant principal, high school principal and elementary school principal. 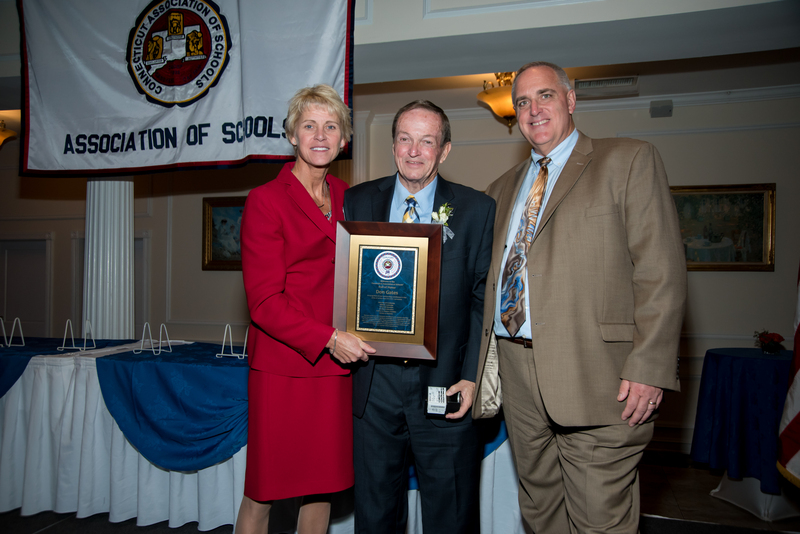 During his career, Bob generously volunteered his time as a part of numerous CAS-CIAC committees including the ad hoc committee on elementary schools, a founding member of the Elementary Schools Board of Control, vice chair of that board, the Elementary Schools Professional Studies committee, and the Elementary Schools Unified Sports Committee. Upon his retirement in 1997, he came to CAS as an Assistant Executive Director for Elementary Services. In this role he helped put CAS on the national and international map as his work took him to Russia six times where he acted as a consultant with Soviet educators to modernize the education system of Crimea, and was so appreciative and effective that a school was named in his honor. Along with his administrative efforts, he spearheaded several humanitarian efforts in his role with CAS. After the catastrophic Tsunami which wrought so much havoc and horror in Asia, he traveled to Sri Lanka to offer assistance and then launched a program through the CAS member schools which quickly raised a quarter of a million dollars to aide relief efforts. He also orchestrated matching funds from a CAS sponsor, and arranged for former President William Jefferson Clinton to come to Connecticut to accept the donated funds. Bob also headed the CAS Katrina Relief Fund which secured funds and services for needy schools in the area hit by the hurricane. Dr. Carroll was awarded a CAS Letter of Commendation in 1993 and was the recipient of the First Annual Governor’s Award for Distinguished Service to the American Red Cross. 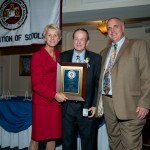 His tireless work on behalf of schools, administrators, and the community left a lasting impact on CAS-CIAC. 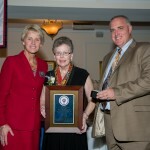 Since the early 1970’s, Suzi D’Annolfo has positively influenced students, student-athletes, teachers, athletic coaches, and educational leaders throughout Connecticut through her various leadership roles and through her involvement with CAS-CIAC. 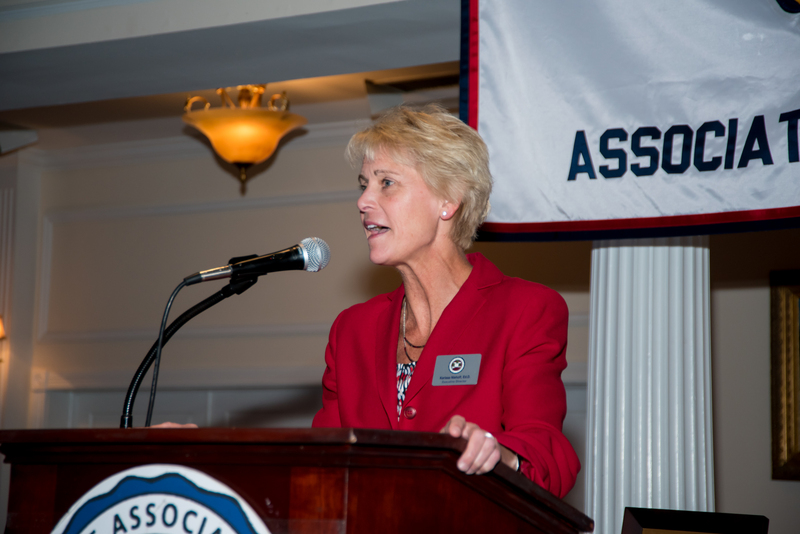 Following her successful coaching and teaching career, Suzi served as the first female athletic director for the West Hartford Public Schools and she forged new territory for women in athletics as one of just two female ADs in the state at that time. 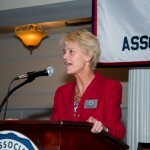 As an AD she served on a variety of CAS-CIAC committees and was a valuable contributor to the organization, playing a key role in the creation of the first student-athlete handbooks and providing a variety of professional learning offerings for CAS-CIAC coaches as well as training for student-athletes serving in the role of team captain. Suzi went on to become principal of Litchfield High School where she remained an active and contributing member of the CAS-CIAC, serving on various committees including the board of control. During her tenure in Litchfield that Suzi received the highly prestigious Milken Award for her contribution to education. She went on to serve as a CREC administrator where she examined various ways to bring CIAC athletic programs to the magnet schools. Suzi ended her public service in education as the Director of Curriculum back in the Newington Public Schools. 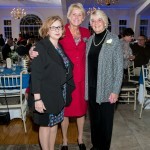 Throughout much of her public school career, Suzi taught educational leadership courses at Central Connecticut State University and she currently teaches in the educational leadership department at the University of Hartford and still serves on various committees for CAS-CIAC. Currently, she is the higher education representative to the State Department of Education and where she continues her legacy as a trailblazing educator and significant contributor to CAS-CIAC. Tim Doyle was a valuable and significant contributor to CAS-CIAC in a variety of roles, capping a distinguished career as educator. After eight years as a teacher in New York he assumed the role of Principal at John Winthrop Junior High in Deep River, where he worked for 26 years before joining the CAS staff. Upon his retirement from John Winthrop in 1996, he served for four years as the Assistant Executive Director for Middle Level Services at CAS, and then was then appointed as Director of the Connecticut Principal’s Center, a position he held until his death. While he served with distinction in his elected positions as a principal and his staff position as Assistant Executive Director for Middle Level Services, his longest-lasting contribution to the organization came as a founder of the Principal’s Center. Through Tim’s collaboration with established principals’ centers across the nation, a partnership with educational leadership faculty at UConn, and persistence, the Center became a reality in 1999 and he was appointed as the first director. He also was instrumental in the design and realization of the CAS Conference Center. His influence was also seen as a co-founder of the South Central Principals, a network of principals that met regularly to share best practices and strategies. With his efforts, (CAS) became the most recognized and influential state in New England and especially in its affiliation with the New England League of Middle Schools. His impact with CAS can be seen throughout the region with other states adopting many similar programs to ones established at CAS, including the Scholar Leader banquets and he was also an active member of the Executive Director’s Association of the National Middle School Association (NMSA). 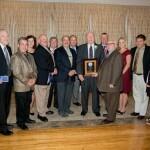 His dedication, influence and commitment to CAS-CIAC is still felt in the organization today. Robert Duncanson is being recognized for induction into the newly established CAS-CIAC Hall of Honor. 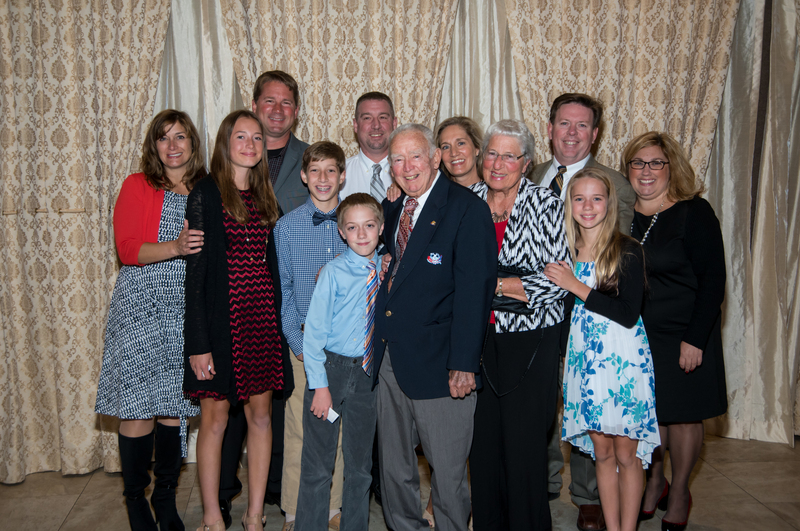 During his tenure as athletic director at Daniel Hand High School, Bob Duncanson truly set the standard by which all athletic administrators in Connecticut are measured. 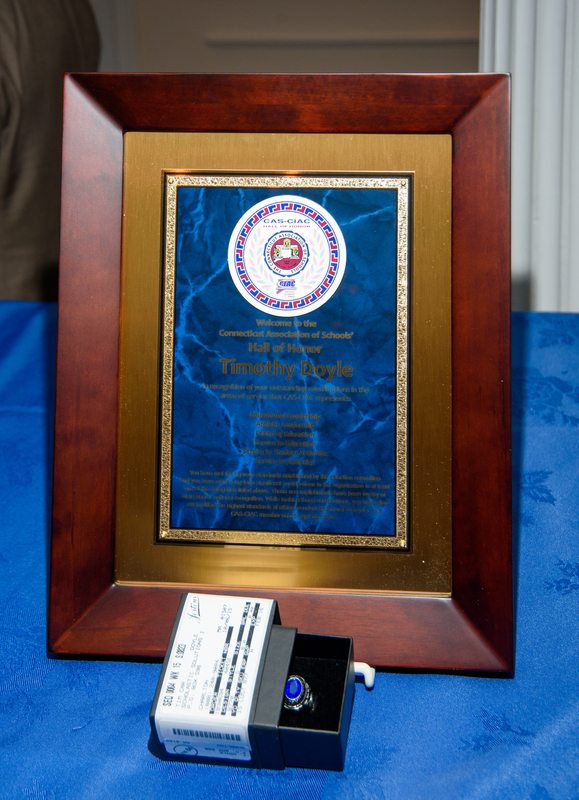 In fact, CAAD thinks so highly of “Dunc” that it established an annual award in his name – the Robert Duncanson “Meritorious Service Award” – that is presented at the CAAD Conference each year to an athletic director who exemplifies the highest ideals of integrity, dignity and honor. Bob Duncanson developed an exemplary all-around athletics program at Daniel Hand High School that provided equal opportunities for all student-athletes and was a pioneer and leader in the growth of girls sports in Madison. Despite his hectic schedule and busy daily regimen organizing and directing the Tiger athletic program, Bob always found time to help and mentor young and aspiring athletic administrators. He was also deeply involved with the CHSCA and CIAC. 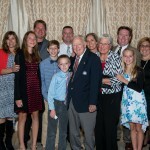 Bob was the key figure and founding father of the Connecticut Association of Athletic Directors and for just that reason alone is the first athletic director that the organization wishes to place in nomination for the Hall of Honor. 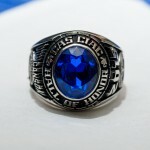 He was also pivotal in helping that organization begin its long and successful alliance with CASCIAC. 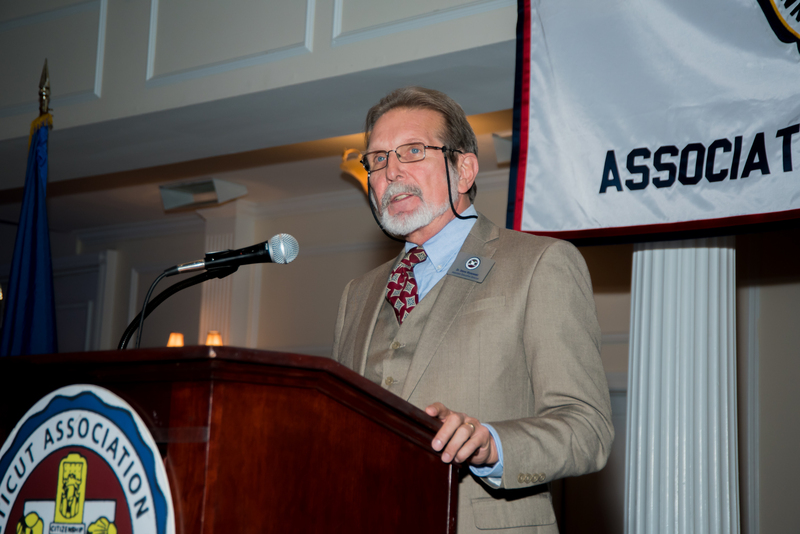 Since 1966 John Fontana has provided significant contributions and service to CAS-CIAC through his work as a coach and the Connecticut High School Coaches Association and the collaboration between the organizations. He has assumed leadership roles with numerous coaching associations including president and now executive director of the CHSCA, District Chairman of the National High School Association; National Baseball Chairman of the National High School Baseball Association; originator and Chairman of the CHSCA All-State baseball teams; Chairman of the CHSCA Coaches Annual Recognition Dinner; editor and originator of the CHSCA newsletter, “Connecticut Coach”’ the Executive Director of CHSCA and President of the National High School Coaches Association. John has served in one way or another in numerous leadership positions with CAS-CIAC since 1966 and presently is significantly involved. 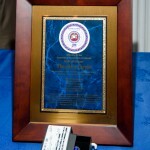 John has received numerous awards and honors for his outstanding achievements, service and contributions. Through his efforts, CAS-CIAC and the Connecticut High School Coaches Association have fostered a mutual beneficial relationship and cooperation that has benefitted coaches, schools and student-athletes. 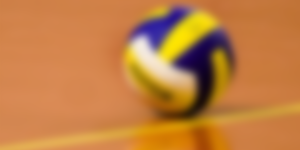 That cooperation includes placing coaches on CAS-CIAC committees, offering critical guidance on proposed rule changes, and providing a valuable voice of the coaches to the CAS-CIAC decision-making structure. 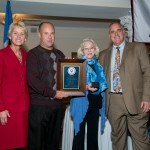 John continues to serve as the Executive Director of the Connecticut High School Coaches Association, a position he has held since 1988. He has also served as a history teacher, guidance counselor, and baseball coach at Southington High School where he built one of the most impressive resumes in Connecticut High School coaching. He was the varsity baseball coach for 41 years and had an outstanding record of 669 wins, two state titles, and six runners-up. 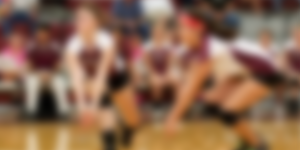 His teams qualified for the state tournament 40 out of 41 years and 192 of his players received college scholarships. 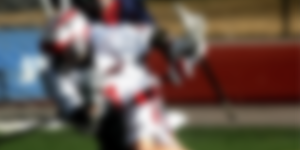 Upon retirement, he was ranked 5th nationally with the highest winning percentage of coaches winning over 600 games. He has a lifetime honorarium for collegiate officiating and has refereed at the scholastic and college levels for 33 years. 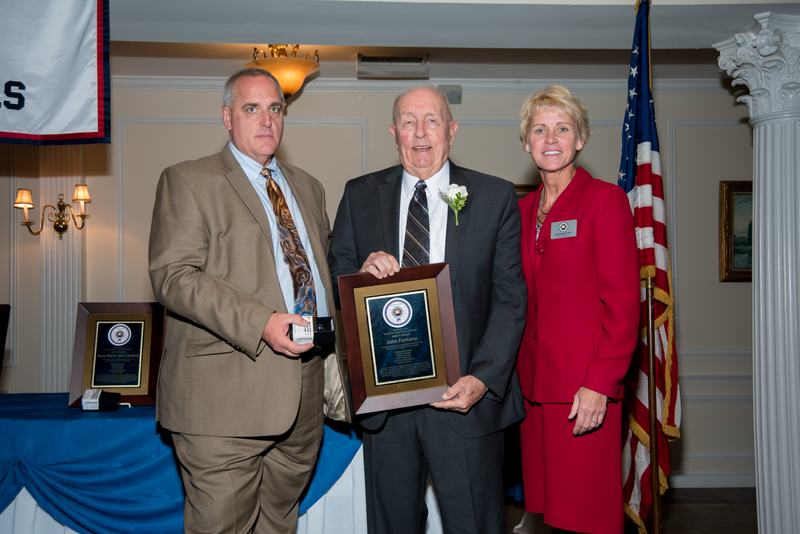 He made an immeasurable impact on high school athletics in Connecticut with his work as a coach, administrator, and his work with CAS-CIAC. Don Gates is one of Connecticut’s finest principals and one who has also had a long association with and made multiple contributions to CAS-CIAC. 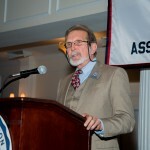 Don Gates has served the Connecticut Association of Schools and the Connecticut Interscholastic Athletic Conference for many years in multiple roles. He has served as chair of the CAS Board of Directors and in many capacities leading up to that crucial leadership role. When other educators think of Don they naturally associate him with the National Honor Society. He has led the statewide organization for many years and continues to energize their efforts. Don has been honored for his work with the NHS by the NASSP and was presented the award at the National Conference in Dallas. Don served Portland High School for 40 years, most of those as principal. After his retirement, Don went on to serve many other districts in an interim capacity. Don has served as the interim principal at Putnam, Woodrow Wilson, East Hampton, Valley Reg., Coginchaug, and most recently Bacon Academy. Don’s impressive (if not record-breaking) tenure at Portland is likely worthy of recognition on its own but what is truly impressive is his commitment to CAS-CIAC despite the fact that he was the only administrator at his school. We often hear from other principals that they are too busy to take on more responsibility outside their school. This is certainly understandable but we never heard that from Don and we still don’t. Don did an excellent job leading his school and fulfilled his many commitments to CAS-CIAC with equal effectiveness and dedication. Don has gained a reputation for being Connecticut’s premier interim principal, at least at the secondary level. What is most impressive is his commitment to moving those schools forward while they were under his leadership. Many just work to keep the ship afloat during an interim assignment, but Don has worked to make significant improvements and provide transformative leadership for those schools. Prior to Ann taking over at the helm of Unified Sports for CAS in 1995, Ann worked in education for more than twenty years as a teacher, coach, athletic director and administrator. A sports enthusiast at an early age, Ann began her career as a physical education teacher and coach within the state’s vocational technical school system. Always passionate about the advancement of women in the world of sports, Ann embraced Title IX, and immediately created softball, volleyball and basketball programs at Eli Whitney and Wright Technical high schools. Ann was committed to gaining support and recognition and respect for each one of her women’s programs. 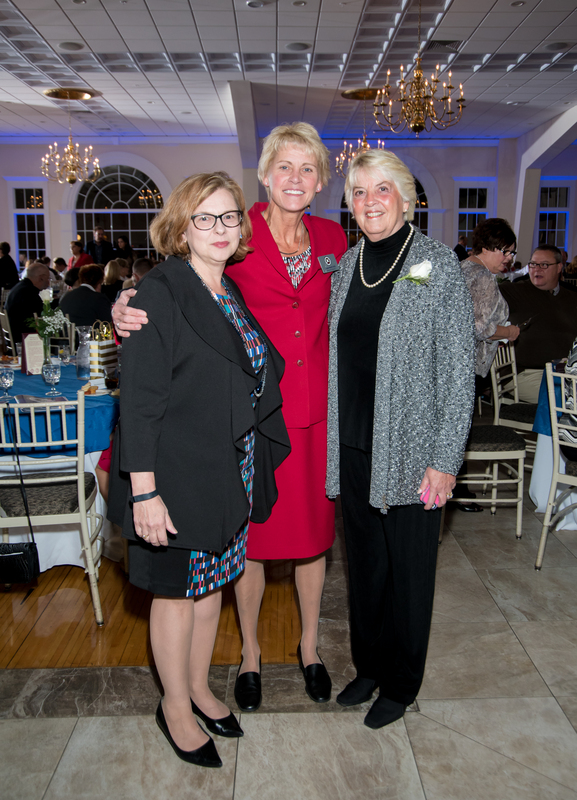 In 2007, due to Ann’s strong advocacy and fierce determination, she was honored at a Connecticut Women’s Hall of Fame gala celebrating the 35th anniversary of Title IX. Ann was one of forty female athletes participating in the first “Walk of Fame,” designed to recognize individuals who have made significant contributions to women’s sports. In 1995, accepting the position of Director of Unified Sports Ann took on a new battle. For the next thirteen years she led the battle for the rights of disabled athletes to enjoy the benefits of participation in sports programs, focusing on awareness and acceptance, keenly aware that we are all more the same than we are different. 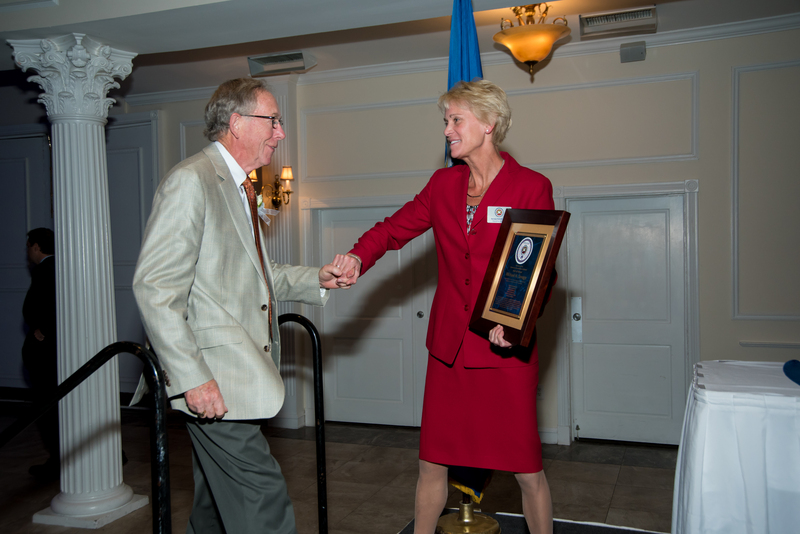 Under Ann’s leadership the program grew from a couple hundred participants in two tournaments in 1995 to over 1,500 participants in over 30 tournaments upon her retirement. Ann was a tireless, passionate and dedicated leader. The truest testament to her commitment lies within the wave of change that she helped to create within the school climate. The change, that through greater acceptance, significantly affected the quality of life for so many children with special needs, not to mention the impact on their partners as well! 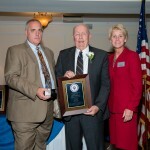 Mike Savage has a long and distinguished record of service to education and to high school athletics in Connecticut. He began his career in 1960 as a teacher of mathematics and science at Litchfield Jr.-Sr. High School. There he coached three sports – track, basketball, and soccer – and was an active interscholastic soccer and basketball official. Following his appointment as a school administrator, Mike was required to retire from coaching. In 1970, Mike was appointed principal of the senior high school. While serving as a high school principal, Mike was an active and energetic member of CAS-CIAC, serving as Chairman of various committees. During his years of service to CAS-CIAC, Mike swiftly and steadily gained the respect of his colleagues. 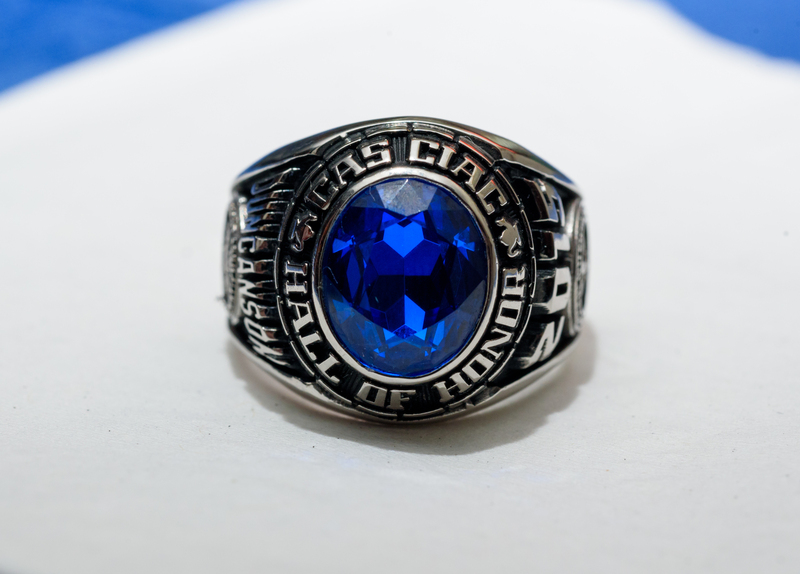 In 1980, in recognition of his leadership abilities and his commitment to high school athletics, he was awarded a CAS Citation, the association’s highest honor. In the same year, he was appointed to the position of Assistant Executive Director of CIAC. In 1988, Mike was named Executive Director of CAS-CIAC. Under Mike’s leadership, CAS-CIAC flourished. 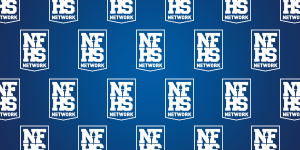 The association grew from an operation concerned mainly with the governance of interscholastic athletics to an organization that is a recognized and respected force in Connecticut education. 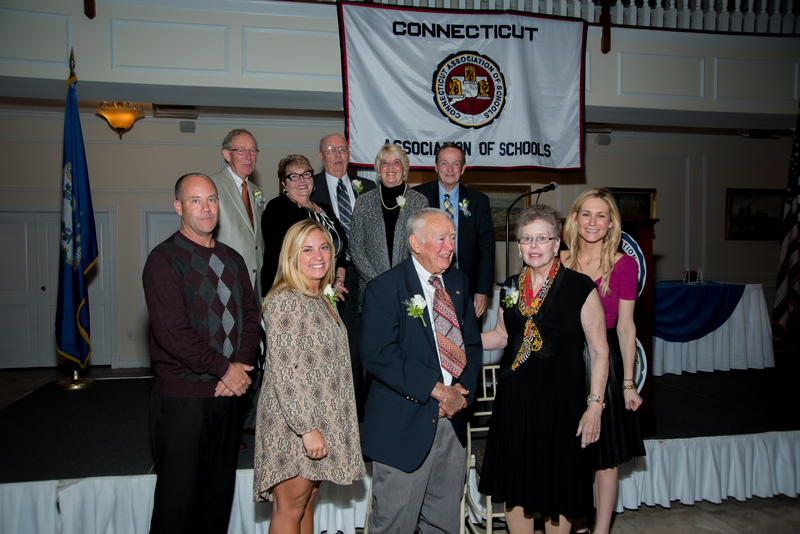 Under Mike’s direction, membership in CAS-CIAC was extended to elementary schools, the CIAC Endowment Fund was created to ensure the future financial security of the association; the renowned Scholar-Athlete banquet was established to recognize the academic and athletic achievement of Connecticut’s students; the Center for Early Adolescent Education was founded to provide professional development programs to middle level educators; the CIAC/Special Olympics Unified Sports Program was created to extend athletic opportunities to students with disabilities; the CIAC earned sanction from the State Department of Education as an authorized coaching certification agency and, a corporate merger with the Connecticut Association of Athletic Directors and the Connecticut Association of Interscholastic Officials brought two powerful groups under the CAS-CIAC umbrella. This 1993 merger was a significant step toward achieving an all-inclusive, statewide athletic structure in which member schools, athletes, coaches, athletic administrators, and game officials shared responsibility for the governance of interscholastic athletics in Connecticut. Mike’s influence has reached far beyond the borders of Connecticut. He has served on a number of national committees and boards. Mike’s impressive career is colored with honors and awards too numerous to mention. In 2001, Mike was inducted into the Litchfield Athletic Hall of Fame. Mike’s service to high school athletics spans over thirty years. 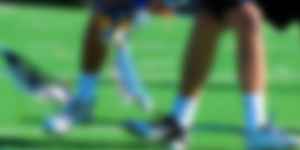 In that time, his efforts have been directed toward one goal: to provide a safe and equitable, yet competitive interscholastic athletic environment which will prepare each and every student-athlete to be an honest, responsible, educated, and contributing member of society.